As part of National Obesity Awareness Week, Walking Football with PNE participant Andy Laurie revealed how getting involved in the sport has helped him drop his weight from 108 kilos to 90 kilos. 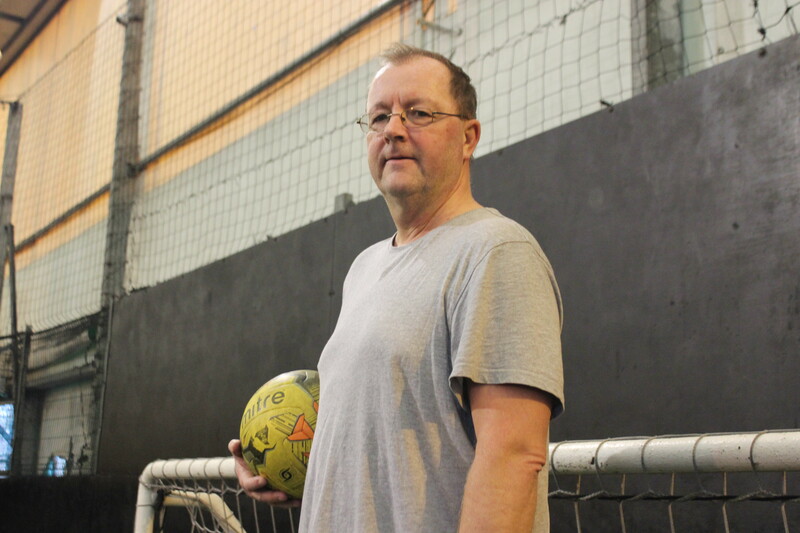 Andy has been attending Walking Football sessions since February 2017 and has revealed how beneficial it has been to him and how it has contributed to him losing 18 kilos in under two years. He said: “I started walking football in February 2017 and I play two or three times a week. I’ve used it not only as playing the game but as weight loss. I thoroughly enjoy it and have continued to play to this day ever since. Andy uses his belt as an indication of the amount of weight he has lost and drills new holes into it as he continues to shed the pounds through regular exercise. As well as the physical side of losing weight, it also requires a lot of mental strength and Andy believes that being part of group who support each other through the good times and the bad times is key. “It’s very much mental,” said Andy. “What we have here in the group is very much two parts to the football. One is the actual football and the other is the banter and camaraderie we have as a group. We all support one another. “If someone is feeling a bit down, doesn’t want to turn up, we still make them turn up and they still enjoy it. Even when some of us get injured, they’re still turning up on a Friday or Wednesday or Monday for a coffee. “So that’s really good for what the Community Trust here and in other places have done to get us as a group. Because we all support one another, we turn up more often, we are doing more physical exercise and it’s better all round. Andy’s weight loss journey had originally begun in the summer of the pervious year when he decided that it was time for him to change his lifestyle and begin to try and shed the pounds. “My weight loss started in July 2016. I was 108 kilos and I thought this is getting stupid, too fat whatever so I started cycling, started walking all that sort of stuff,” continued Andy. The Preston North End fan has not just changed the amount of physical activity he undertakes and while he hasn’t changed his diet, he has reduced his alcohol consumption. Andy admitted: “I’ve not actually changed what I eat, I still like the odd treat, however what I have done is cut down the amount of alcohol I drink at home. North End host weekly Walking Football sessions on a Tuesday from 6pm until 7pm and on a Friday from 11am until 1pm at the Preston North End Community Training Centre for men and women over the age of 50, regardless of ability. 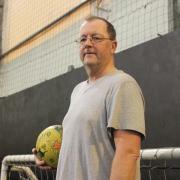 The first steps in losing weight can be the toughest, but Andy believes that the Walking Football sessions provide the perfect opportunity for people to lose weight and he is keen to encourage more to do so and get involved. He added: “Get into a group which is fun to be with. If exercise is fun, then you’re going to do it. Start off slowly, don’t overdo it and just work up. “We get new members because they are usually overweight as I was, you come on, you play for two minutes and you’re falling around on the floor, you can’t get up, you can’t get your breath but slowly you get through that and then you don’t ache now after games. “I thoroughly enjoy it. They are a great bunch. We have the odd fracas where someone kicks someone, and all that kind of stuff. We have a go at the referees here because of their biased refereeing usually against my team but we all have a good laugh and that’s what life is about at the end of the day.